Why Didn't Fantastic Four Work? | Warped Factor - Words in the Key of Geek. Why Didn't Fantastic Four Work? Last month, Creed and Friday Night Lights star Michael B. Jordan, who's commonly recognised as one of Hollywood's best young actors, was honoured with the Rainmaker Award at the Maui Film Festival. The award goes to an actor who can "mysteriously" elevate any project he's attached to—and it's hard to imagine a more suitable recipient than Jordan. That said, the award also calls to mind 2015's Fantastic Four as arguably the only instance in which Jordan's presence hasn't been enough to make a film work. This was supposed to be a project that rebooted a franchise that's always been popular among comic book fans, but which had flopped on the big screen before. Despite Jordan and a strong supporting cast including Kate Mara, Miles Teller, and Jamie Bell, the film absolutely bombed. Review aggregate site Rotten Tomatoes shows that only nine percent of critics viewed it positively. So why didn't this film work? 2005's Fantastic Four wasn't exactly a hit, but its critical response was better than what we saw in 2015. It also made enough of a dent in superhero cinema to leave a lasting, if underwhelming, impression of these characters. The likes of Ioan Gruffudd and Jessica Alba remain associated with key roles, and it's their images that populate the only mainstream representation of these heroes outside of film and comics. Gala's online casino hosts numerous themed games embracing superhero characters and concepts, and while their Fantastic Four game was featured in 2015, it included imagery from the 2005 movie. Drawings resembling the uniforms and faces of that film's cast populate the slot reel and background of the game. This is perhaps the best indication that even as the reboot was coming out, people viewed these characters through the 2005 lens. Looking back at summer 2015, part of the problem may also have been that Fantastic Four came out during a pretty crowded season. It was a big summer for blockbusters, including Avengers: Age Of Ultron, Jurassic World, Mad Max: Fury Road, and even surprise hits like Straight Outta Compton. 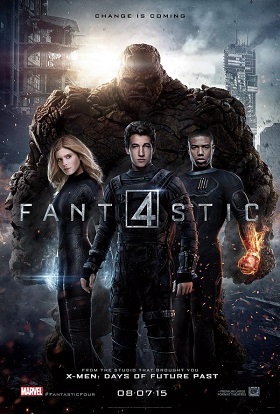 Every summer is competitive, but one has to wonder if Fantastic Four would have generated a little more attention (though probably not better reviews) with a spring release. The interesting comparison to 2015's Fantastic Four is The Amazing Spider-Man, which came out in 2012. Both films were attempts to inject some new life into franchises that had already failed, and while neither was wholly successful, it's fair to say that the Spider-Man film did far better. And not surprisingly, it also had the bigger budget—by over $100 million. 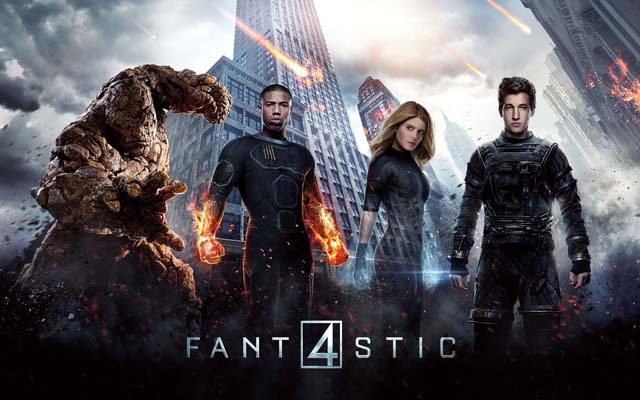 Fantastic Four had just $120 million to work with, according to Box Office Mojo. And yes, that's a great deal of money, but it's comparatively small for a modern superhero project. Given that number, it's fair to wonder if the film ever had a legitimate shot to stand up to its rivals in the genre. This is a pretty broad critique, but it may just be that the film wasn't structured correctly. The main problems that many had with Fantastic Four revolved around it being somewhat lifeless or that it embraced the increasingly dark nature of superhero films too much. This suggests that the writers and directors misunderstood what the public might want from a Fantastic Four reboot, or else failed to execute a vision. Indeed, for a film that looked nice and had very capable actors, the script and direction are typically the most natural culprits. The way things tend to go these days, Fantastic Four will probably be rebooted yet again in a few more years. Perhaps it'll be by Marvel Studios next time, if they can acquire the licensing rights to the characters. But for the time being, this stands as a puzzling missed opportunity, not to mention the lone blemish on Michael B. Jordan's exceptional filmography.